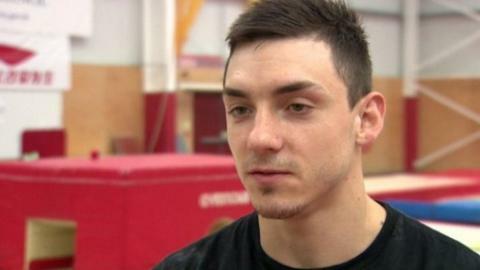 Lisburn man Luke Carson has announced his retirement from competitive gymnastics following a long battle against injury. Carson competed in last year's Commonwealth Games in Glasgow despite having broken his left leg on two occasions in the previous two years. However, the 26-year-old said that he has now been forced to retire. "With ongoing medical issues, I must accept it is impossible for me to compete again," said Carson. "With five World Championships, eight European Championships, many World Cups and British, Irish, Northern Irish and North European medals under my belt, I have had a wonderful career hitting highs most only dream about." Carson will remain as an important figure in Northern Ireland gymnastics as he has been appointed as a head coach with Rathgael Gymnastics Centre. The Lisburn man's sister Bethany is an Irish international swimmer.